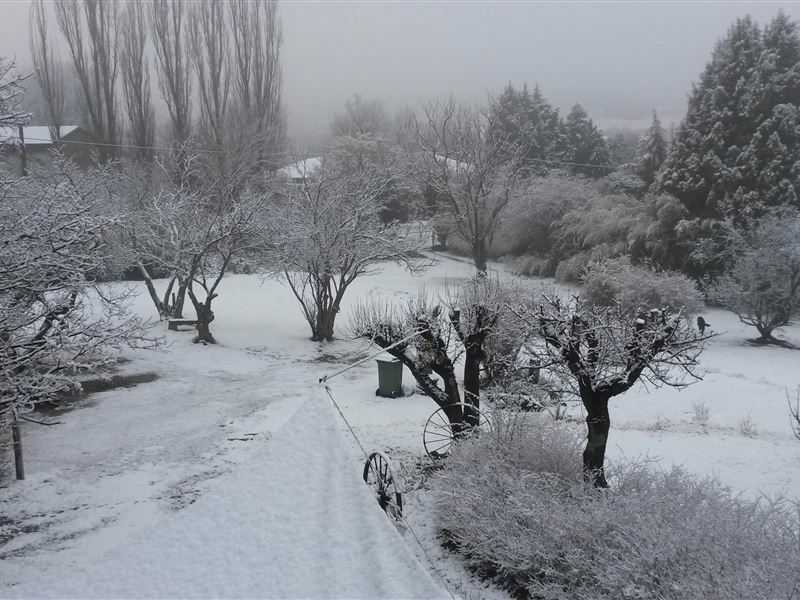 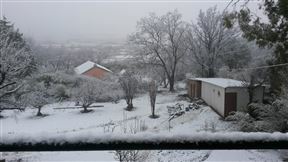 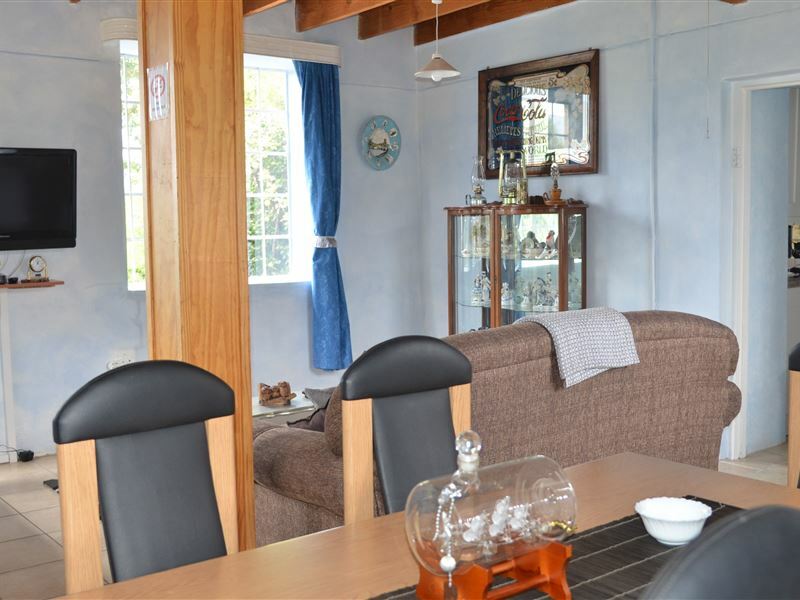 Built in the early 1900’s from Sandstone this quaint and cosy cottage offers self-catering for 4. 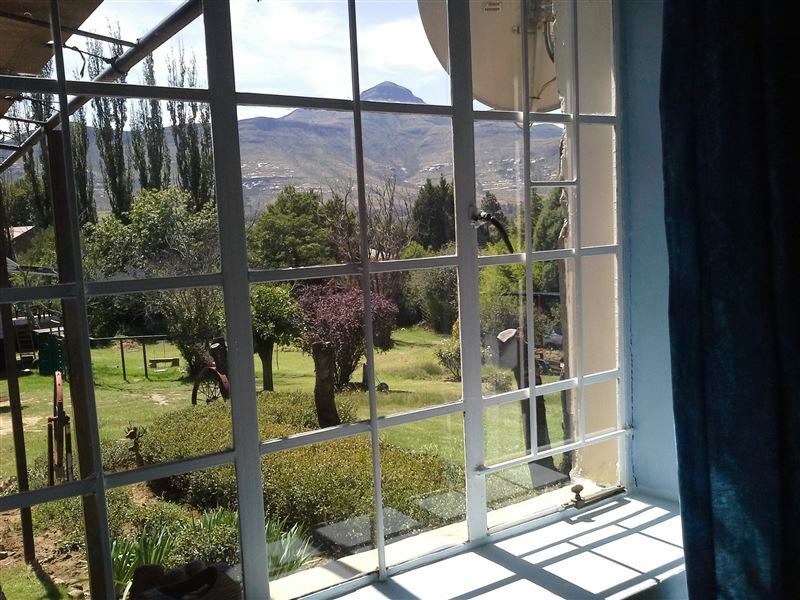 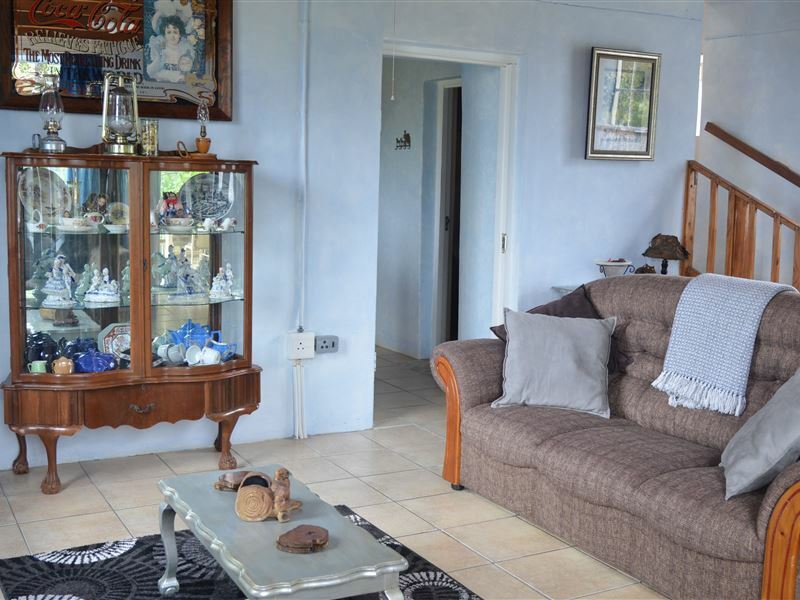 It has exceptional views of Mount Horeb, Maluti Mountains and parts of the Rooiberge of Golden Gate and is a mere 300mtrs from the town square where you will find a variety of shops, boutiques, restaurants and art galleries. 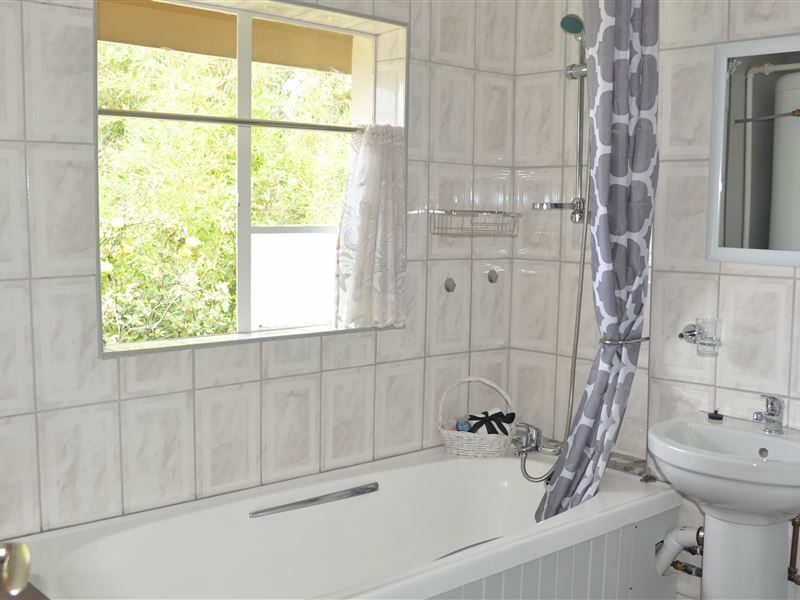 Wooden stairs lead upstairs to the 2 bedrooms, each with access to a private bathroom. 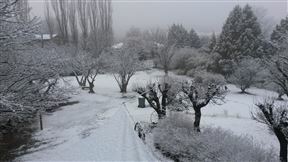 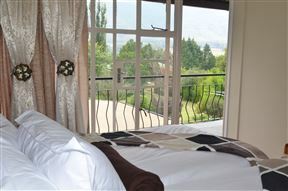 The bedrooms open onto the shared balcony which offers superb views of the garden and the mountains. 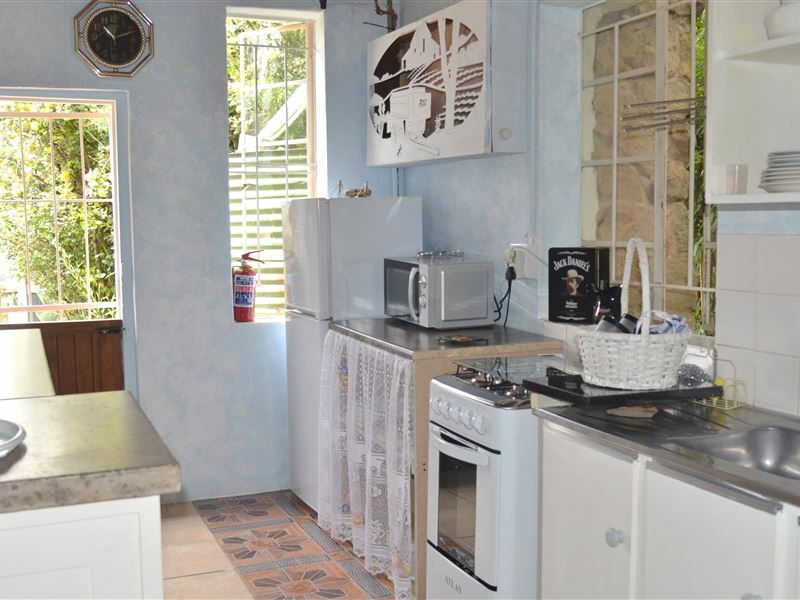 The large patio offers an outdoor area to relax and braai whilst enjoying the views and the large garden. 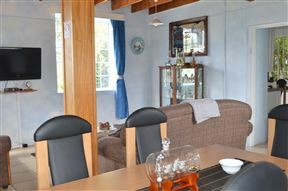 The open plan lounge and dining room is equipped with a TV (DSTV) and a few board games. 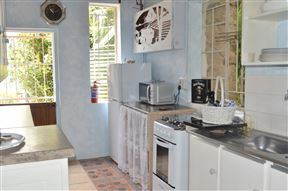 The kitchen is fully equipped with cutlery, crockery, toaster, microwave, four plate gas stove with gas oven, pots and pans, fridge etc and is stocked with limited basics on arrival such as tea, coffee, sugar, milk etc. 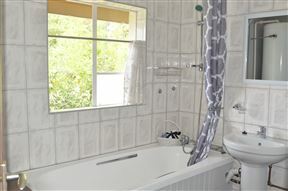 There is a separate toilet with a basin on this level. 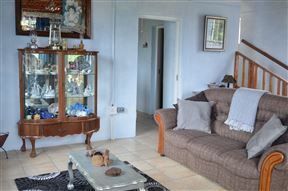 Gentle Presence is thought to have been the stables of a larger farm where farmers gathered for Nagmaal (Holy Communion). 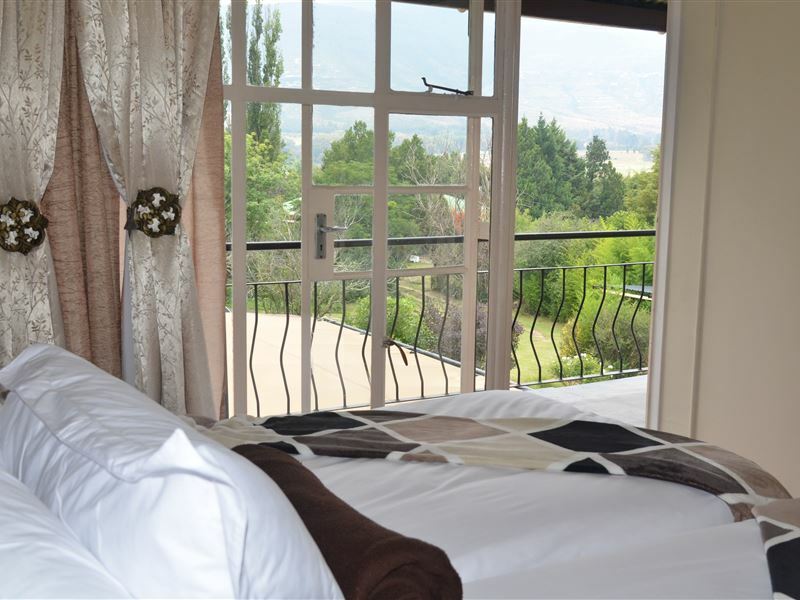 Due to the exceptional views of the Rooiberge including Mt Horeb and the Malutis, the home was originally given the name Kyk Die Berge in the 1960’s. 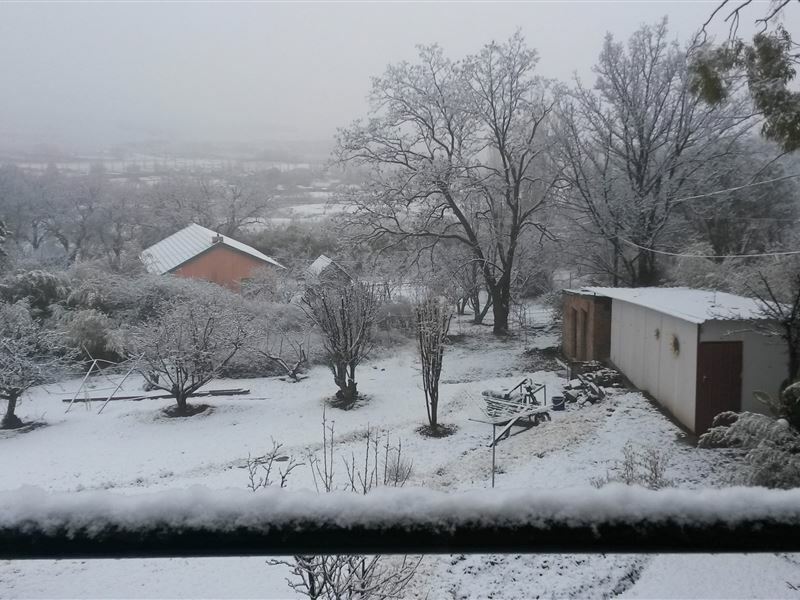 At the time it was the only multi-story structure in Clarens and the locals affectionately called it “Die Flets”. 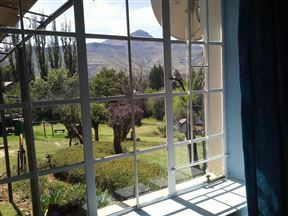 It has been declared a heritage home and has a charming history which we would love to share with you.